171. To settle the controversy at hand, it is imperative that we dig deep and perform a meticulous analysis of Articles 239, 239A, 239AA and 239AB all of which fall in Part VIII of the Constitution bearing the heading, ‘The Union Territories'. For this purpose, let us reproduce the aforesaid Articles one by one and carry out the indispensable and crucial task of interpreting them. “239. Administration of Union Territories.—(1) Save as otherwise provided by Parliament by law, every Union territory shall be administered by the President acting, to such extent as he thinks fit, through an administrator to be appointed by him with such designation as he may specify. 173. The said Article was brought into existence by the Constitution (Seventh Amendment) Act, 1956. Clause (1) of Article 239, by employing the words ‘shall’, makes it abundantly clear that every Union territory is mandatorily to be administered by the President through an administrator unless otherwise provided by Parliament in the form of a law. Further, clause (1) of Article 239 also stipulates that the said administrator shall be appointed by the President with such designation as he may specify. 174. 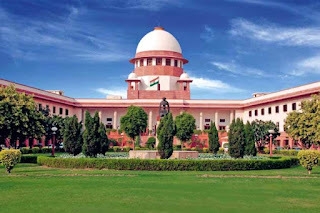 Clause (2) thereafter, being a nonobstante clause, lays down that irrespective of anything contained in Part VI of the Constitution, the President may appoint the Governor of a State to act as an administrator of a Union Territory which is adjacent and/or contiguous to the State of which he is the Governor. The Governor of a State who is so appointed as an administrator of an adjoining UT shall exercise his functions as an administrator of the said UT independently and autonomously and not as per the aid and advice of the Council of Ministers of the State of which he is the Governor. "The provisions of the Constitution which expressly require the Governor to exercise his powers in his discretion are contained in Articles to which reference has been made. To illustrate, Article 239(2) states that where a Governor is appointed an Administrator of an adjoining Union Territory he shall exercise his functions as such administrator independently of his Council of Ministers." "The unamended Article 239 envisaged administration of the States specified in Part C of the First Schedule of the Constitution by the President through a Chief Commissioner or a Lieutenant Governor to be appointed by him or through the Government of a neighbouring State. This was subject to other provisions of Part VIII of the Constitution. As against this, amended Article 239 lays down that subject to any law enacted by Parliament every Union Territory shall be administered by the President acting through an Administrator appointed by him with such designation as he may specify. In terms of Clause (2) of Article 239 (amended), the President can appoint the Governor of a State as an Administrator of an adjoining Union territory and on his appointment, the Governor is required to exercise his function as an Administrator independently of his Council of Ministers. The difference in the language of the unamended and amended Article 239 makes it clear that prior to 1.11.1956, the President could administer Part C State through a Chief Commissioner or a Lieutenant Governor, but, after the amendment, every Union Territory is required to be administered by the President through an Administrator appointed by him with such designation as he may specify. In terms of Clause 2 of Article 239 (amended), the President is empowered to appoint the Governor of State as the Administrator to an adjoining Union Territory and once appointed, the Governor, in his capacity as Administrator, has to act independently of the Council of Ministers of the State of which he is the Governor." (b) a Council of Ministers, or both with such constitution, powers and functions, in each case, as may be specified in the law. (2) Any such law as is referred to in clause (1) shall not be deemed to be an amendment of this Constitution for the purposes of article 368 notwithstanding that it contains any provision which amends or has the effect of amending this Constitution." 178. The aforesaid Article was brought into force by the Constitution (Fourteenth Amendment) Act, 1962. Prior to the year 1971, under Article 239A, the Parliament had the power to create by law legislatures and/or Council of Ministers for the then Union territories of Himachal Pradesh, Tripura, Manipur, Goa and Daman and Diu. Thereafter, on 25th January, 1971, Himachal Pradesh acquired statehood and consequently, Himachal Pradesh was omitted from Article 239A. Subsequently, on 21st January 1972, Tripura and Manipur were granted statehood as a consequence of which both Manipur and Tripura were omitted from Article 239A. 179. Likewise, with the enactment of the Goa, Daman and Diu Reorganisation Act, 1987 on 30th May 1987, both Goa and Daman and Diu were omitted from Article 239A. 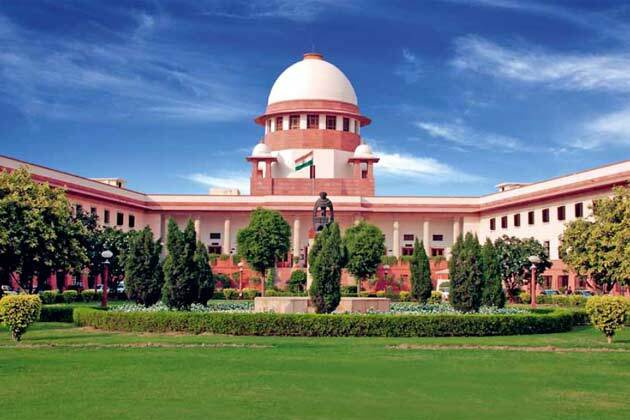 The Parliament, under the Government of Union Territories Act, 1963, created legislatures for the then Union Territories and accordingly, even after 30th May, 1987, the applicability of Article 239A stands limited to UT of Puducherry. 180. As a natural corollary, the Union Territory of Puducherry stands on a different footing from other UTs of Andaman and Nicobar Islands, Daman and Diu, Dadar and Nagar Haveli, Lakshadweep and Chandigarh. However, we may hasten to add that Puducherry cannot be compared with the NCT of Delhi as it is solely governed by the provisions of Article 239A.